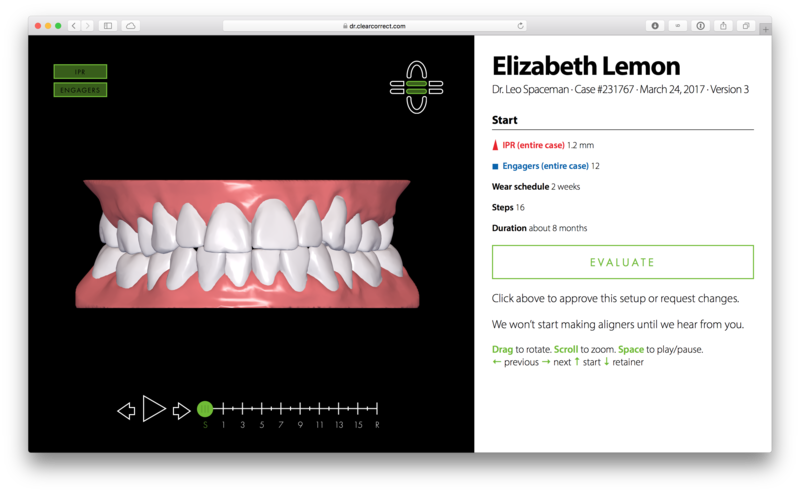 Talking to your patient about clear aligners will be different with each case. 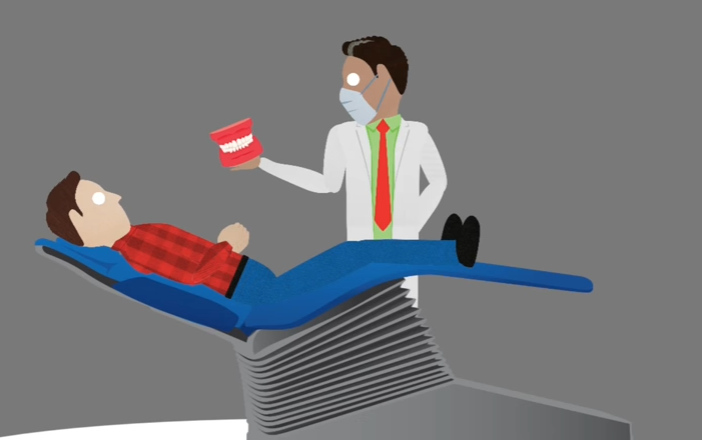 Some patients know they want to straighten their teeth, and know they don’t want traditional braces. However, it’s not every day a patient like that comes through the door. The truth is, while the majority of your patients could benefit in some way from straighter teeth, most of them don’t know it. Some of these benefits and advantages are bound to resonate more than others. 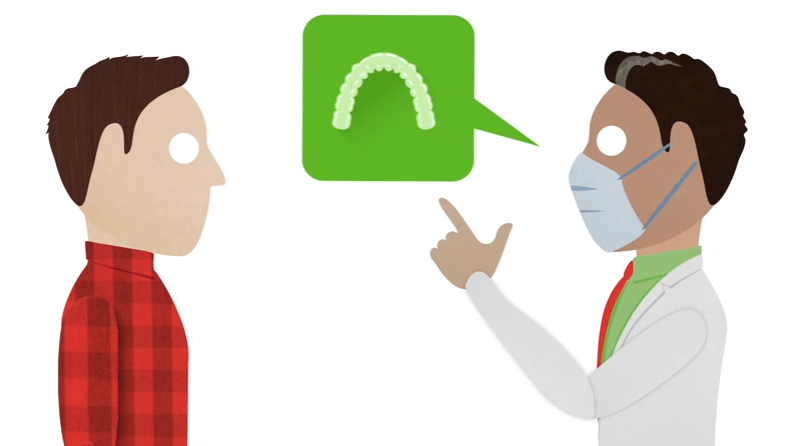 Following are some sample talking points about clear aligners that you and your staff can use to bring up or talk to patients about clear aligner treatment. “How would you rate your smile on a scale of 1-10?" 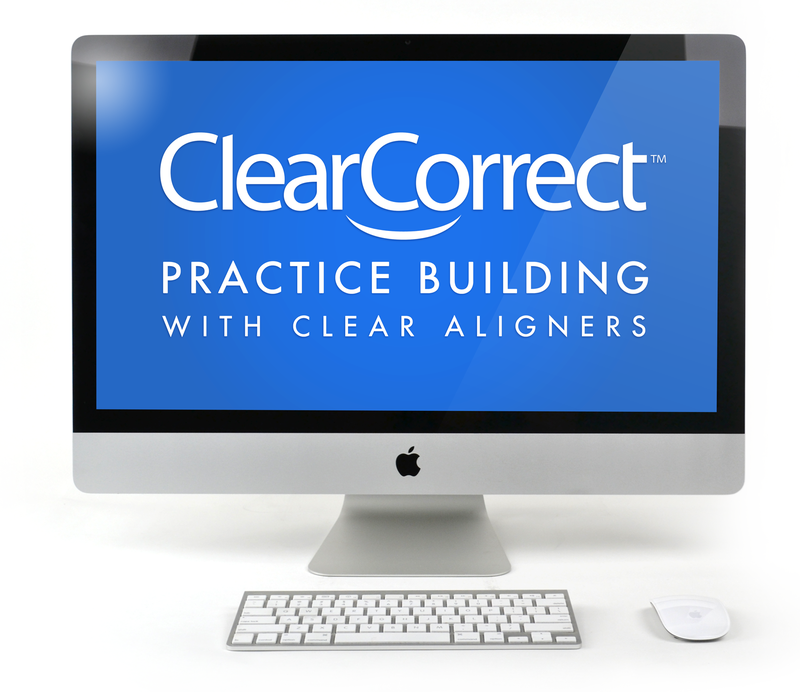 For more successful actions on prioritizing aligners in your practice, check out our checklist for clear aligner success. Crowns usually can't retain engagers. 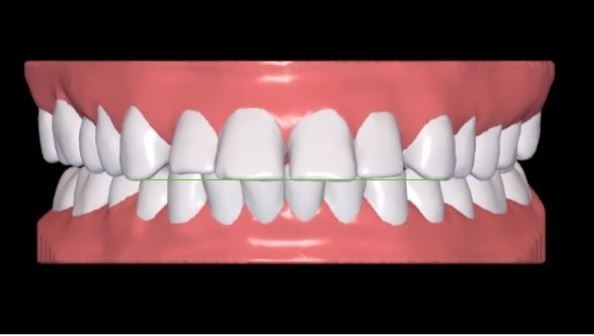 Bridges can create undercuts that may make it difficult to insert or remove the aligners due to too much retention. Dentures are designed to fit together with the opposing arch. If any of the teeth move, the dentures will probably need to be replaced or adjusted. Partial dentures will most likely need to be replaced, because moving teeth in anarch with a partial denture can cause it to not fit. 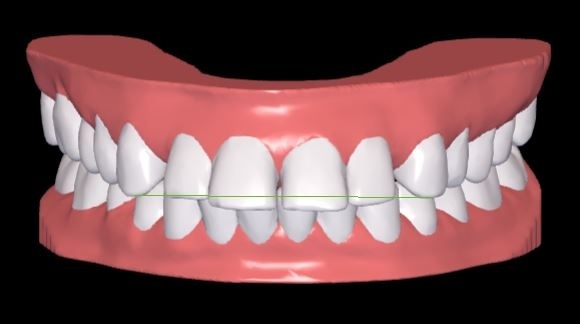 If you want to proceed with treating a patient with a partial denture, then you will need to take an impression or intraoral scan without the partial. We would advise not to wear the partial while in treatment, as it could interfere with movements. Implants cannot be moved because they are fused to the bone. Make sure you have noted all implants in your prescription form so that no movement is planned for that tooth, putting the implant at risk. There are a number of reasons ClearCorrect requires patient photos. One of these is to accurately orient the patient's occlusal plane. The occlusal plane is an imaginary curved plane formed by the incisal edges of the anterior teeth and the occlusal surfaces of the posterior teeth. The angle of the occlusal plane varies from patient to patient. After scanning impressions the technicians must attempt to accurately orient the patient's occlusal plane before staging treatment from your prescription. Without a photo of the patient smiling, the models may be oriented with the occlusal plane too flat or excessively tipped, causing the maxillary incisors to look like they need to be intruded or extruded. Note in the images below the difference when the occlusal plane is calibrated. 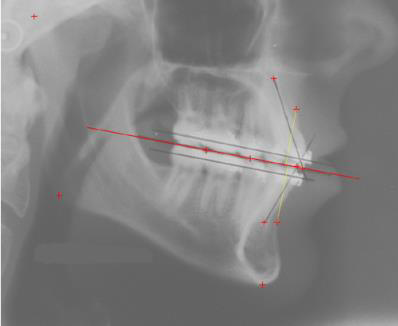 For further information on occlusal planes and digital treatment planning, check out the online article "Importance of the Occlusal Plane in Virtual Treatment Planning" by Dr. David Paquette. We've put together a summary of best practices for reviewing and approving a treatment setup. This guide covers recommendations on what you can verify, review and communicate as well as treatment adjustment options. 2. Carefully review the subsequent steps to verify the planned tooth movements are safe and effective. 3. 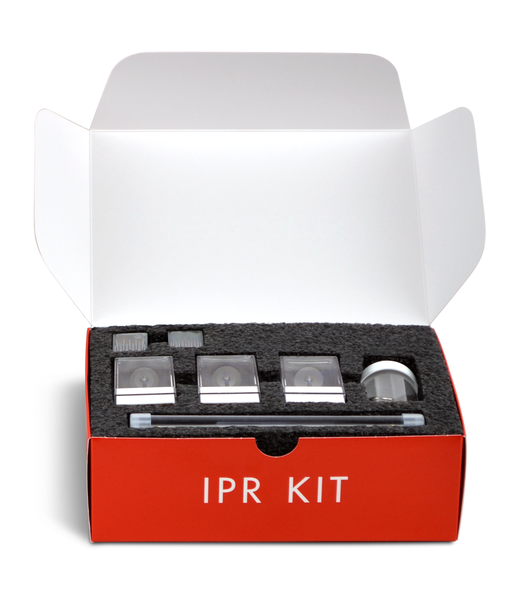 Verify that any recommended IPR and engagers are sufficient to achieve your goals. 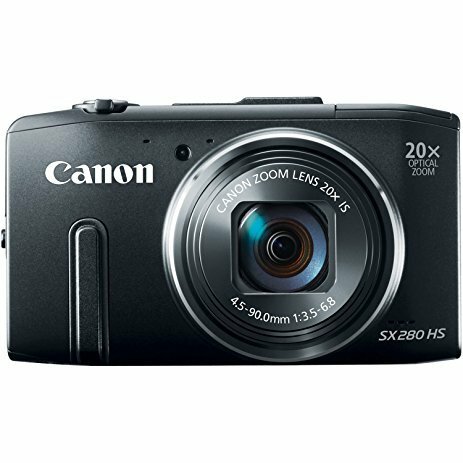 Adjust the scheduled amount between 0.1 and 0.3 mm. Class II correctors (such as TAD's, Forsus, coils/springs, etc). Note: If you find yourself frequently requesting standard changes to treatment setups (for example, "add overcorrection" or "end with a digital powerchain"), the best place to do that is on your case submission form. If you want to make an adjustment, click "disapprove" and let us know what you want to do. Our technicians will do their best to make any changes you request and upload a new version for your approval within a few days. 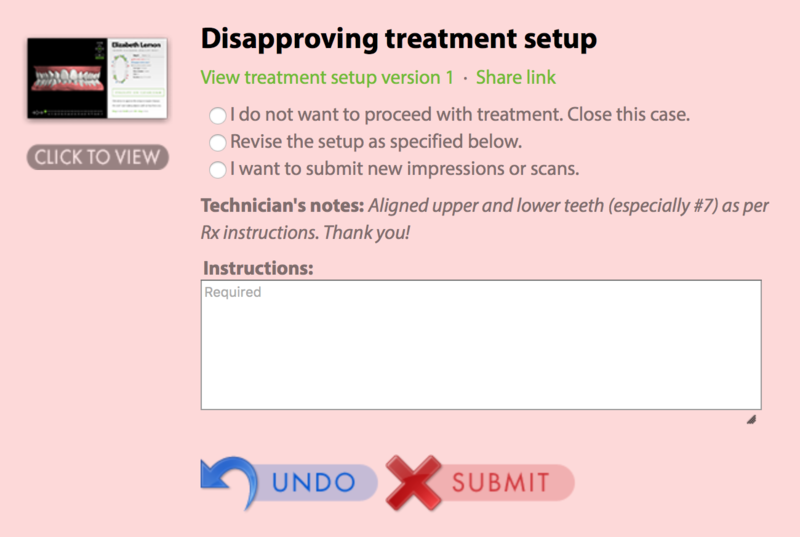 If you are inclined to show the patient the treatment setup, you can show them in your office or use the "share link" option to copy the URL and send it to them.